2017 Buick Encore. © General Motors. DETROIT – Small SUVs represent one of the fastest growing segments in the industry. U.S. sales of small SUVs have tripled since 2011, according to Polk registration data. Buick Encore sales have accelerated this growth by nearly 30 percent since 2013, despite entries in the segment having more than doubled since the Encore hit showrooms in 2013. Today, one quarter of small SUVs on the road are Buicks. Through the first six months of 2016, the U.S. has become Encore’s top market, with more than half of all sales coming from that market. In June, it reached 30 straight months of year-over-year sales growth, with more than half of new owners coming from outside GM brands. In July, Encore is on pace for its best sales month ever, in one of its last months before a fully refreshed version comes out in September. The Encore continues to gain popularity against competitive brands among key audiences including women and professionals. Women represent nearly 60 percent of Encore buyers, which is 16 percent higher than the industry. 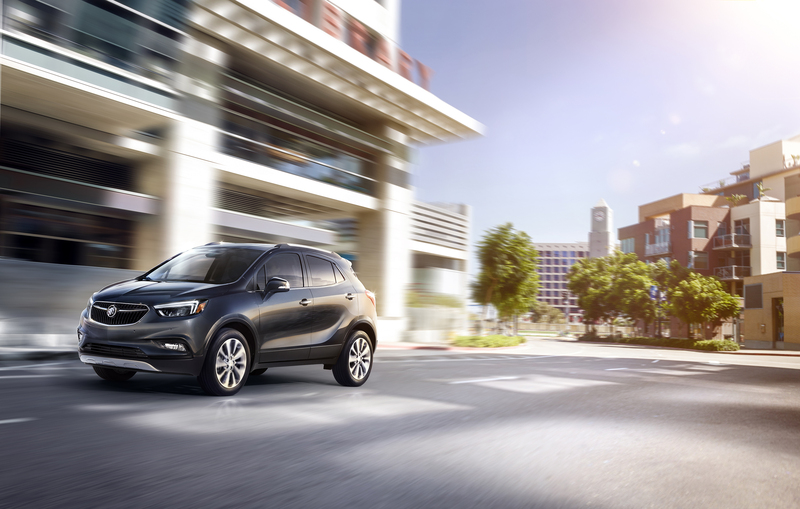 “The Buick Encore provides buyers with a luxury experience in a nimble, compact, value-packed vehicle,” said Rebecca Lindland, senior director of commercial insights for Kelley Blue Book. “Not only is it chock-full of the latest in safety technology, it also is fun to drive and provides a wonderful, quiet cabin experience.